Love my new rug. Especially the vintage look. Layed flat nice. The colors are teally nice and it is very soft. I highly recommend purchasing thi rug. 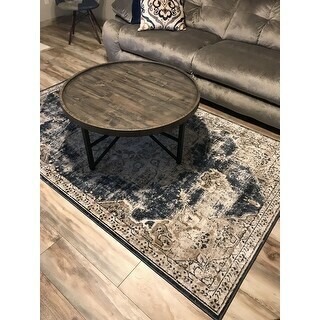 The rug and colors are exactly as pictured. very easy packaging. the rug also lays flat fairly quickly after laying it down. We didn't find the need to put a non-slip pad underneath. Picture is true to actual rug, very pretty and feels super soft under your feet. Thin but I wasn’t expecting plush. Used it in the entryway. My style is transitional, I have dark blue painted doors, wood floors, looks really classy. 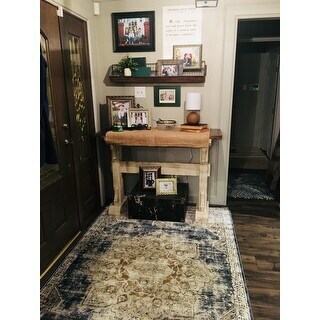 Rug in person is true to picture. Love the hues of color and it’s soft to the touch. Was expecting to be thicker ply, but that’s ok. Perfect for a cozy feeling. 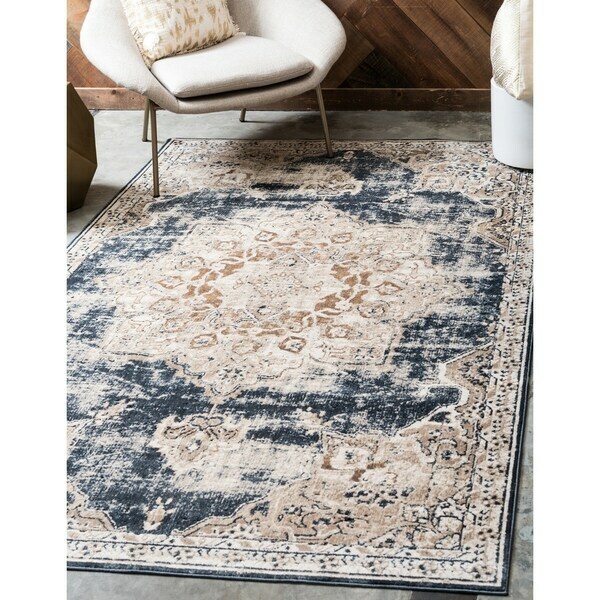 Love this antique look to this rug. It is thin but I’m putting it under a dining table so I didn’t want a thick rug under dining chairs. Great rug for the price. It's a little thinner than I thought, but overall happy with this purchase. Excellent quality! Received many compliments on this rug. Love this rug! It looks way more expensive than it was. It is fairly thin which I wanted. Even with a slip free mat underneath it my exterior doors still clear it no problem! I will recommend item to others. I was expecting it to be a little bigger and heavier. It does crinkle up a little and fold so you might need to add some sort of mat under to keep from moving. Love the color scheme and distressed look. Excited to put this in my living room!! Love the colors and the size is exactly what I needed !